An article titled “Neoliberalism and the politics of enclosure in North American small-scale fisheries” has recently been published in the Marine Policy journal. The article, written by TBTI members Evelyn Pinkerton and Reade Davis, is an introductory essay to the Marine Policy special issue (Vol. 61), which resulted from TBTI workshop held in Vancouver in June 2013. The paper provides an overview of the ways in which policies of enclosure, privatization, and deregulation have unfolded in several regions of North America and discusses the consequences these processes have had for small-scale fisheries. 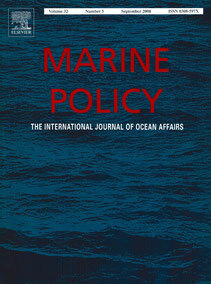 Other articles in the volume are available on Marine Policy website. To find out more about the 13 articles that are part of this special issue, click here.